Now, no matter where you go, you can take your Orange rig with you! 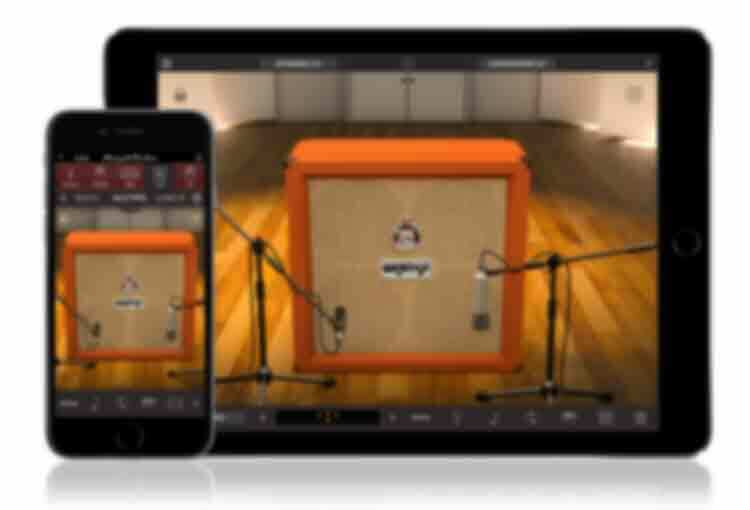 With AmpliTube Orange® for iPhone and iPad, you’ll never be without the unmistakable classic British tone that only Orange amps deliver. From sparklingly clean to huge overdriven power tones, AmpliTube Orange will delight even the most discerning guitar player. Based upon the extremely successful desktop computer version, AmpliTube Orange is designed to be familiar for guitar and bass players. It lets you drag and drop pieces of virtual gear to create custom guitar and bass rigs comprised of 6 stompbox effects (4 pre-amp and 2 post), an amplifier and a speaker cabinet with up to 2 positionable microphones. Plus, AmpliTube Orange comes with a recording section with up to 8 tracks of layering. Legendary guitarists and bass players the caliber of Led Zeppelin's Jimmy Page and Rush's Geddy Lee have been proud users of Orange amps on timeless classic albums. Now the Orange heritage is carried on by younger artists and bands like Mastodon or Slipknot lending testimony to the vast array of sounds these models are able to reproduce, from classic and vintage tones to extreme and modern. AmpliTube Orange is loaded with Orange Amplifiers — 5 Guitar Amps and 1 bass amp. The amps are perfectly matched with component speaker cabinets, but you can also mix and match heads and cabinets for new, unheard sounds and textures. If you love the sound of Orange Amps (and who doesn’t? ), you’ll love the sound of AmpliTube Orange. It includes 6 amps — 5 guitar heads, 1 bass head and matching cabinets. Included are the OR50, Rockerverb 50, Thunderverb 200, the Tiny Terror, the AD 30 and AD 200 Bass MK 3. Speaker cabinets include the 4x12” PPC, 1x12” PPC, 2x12” PPC, 2x12” AD30 and the 1x15” OBC. 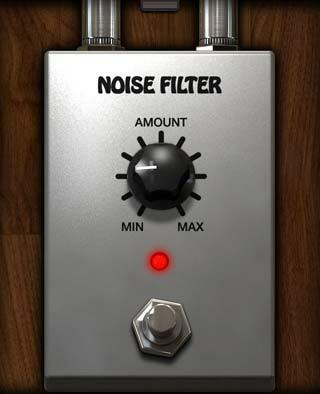 In the stompbox section, you’ll find some extremely cool and useful effects. These stomps are not Orange effects, but are derived from some of our best effects in AmpliTube. You’re going to have a lot of fun experimenting and exploring sonic possibilities with AmpliTube Orange. Its “Cab Room” feature gives you the keys to your very own virtual studio room that you can use to mike your speaker cabinets in 3D with up to 2 different microphones. AmpliTube Orange offers deep, easy to edit integration with a range of controllers. Connect iRig Stomp I/O, IK’s revolutionary USB pedalboard controller and audio interface that lets you stomp effects, change presets, adjust settings and more, all with the feel of a traditional pedalboard. Or connect iRig BlueBoard and enjoy editable, wireless control over presets and effects. AmpliTube is also MIDI compatible so IK’s MIDI interfaces (like iRig MIDI 2) let you connect external controllers and associate patches or parameters with just a few taps. And you can record those inspiring tones, and even turn them into full songs, thanks to AmpliTube Orange’s many recording features. It comes with a built-in recording, mixing and editing system that can be expanded to up to 8 tracks. The recording mixer gives you full track controls: mute, solo, pan, level, per-channel sends and more. And as if that wasn’t enough, AmpliTube Orange’s optional Studio mode lets you harness the raw potential of DAW-style timeline waveform editing. This means that you can compose, arrange, remix, edit and produce complete songs from start to finish while on the go. And when you’re finished you can export and share your masterpieces as high-quality WAV or m4A files. Like to get loopy? 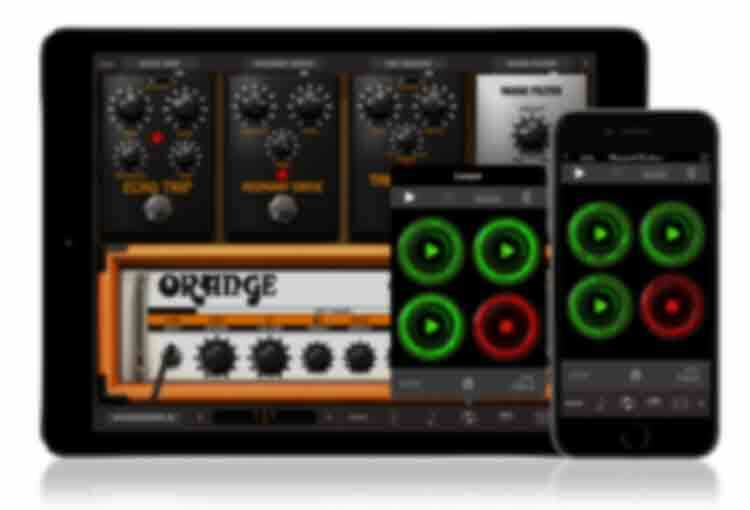 AmpliTube Orange’s optional Looper feature gives you a convenient way to record and play up to 4 loops at a time. And you can export your creations using its handy export function. It's the perfect thing for when you want to experiment and come up with cool new ideas. Now you can create your own accompaniment and play with all sorts of different melodies, leads and chord progressions on the fly, and at the touch of a button. AmpliTube Orange comes with a pretty accurate tuner and metronome. But you can augment this with IK’s UltraTuner, the most precise tuner for iOS ever. It’s accurate down to 1/100th of a cent (that’s 10 times more accurate than mechanical strobe tuners, the hardware “gold standard” equivalent). It also features two modes that let you switch depending on whether you need an extremely visible tuner for low-light stage use or a hyper-accurate pitch-over-time display for more complex tuning scenarios: It's great for tuning all kinds of instruments and even for vocal and instrument pitch training and practice. AmpliTube Orange is also a great tool for improving your chops. It has a slick song player section that lets you import songs and backing tracks. You get full control over these tracks, so you can speed them up or slow them down — all without changing pitch. It’s perfect for when you want to learn complex riffs and licks. It also features a “NO VOICE” mid-range cancelling feature that lets you turn off the lead vocal or guitar solo from an existing track so that you can step up and take center stage. You can use AmpliTube Orange with Inter-App Audio to process and add effects to the sound of all your favorite mobile music creation apps. 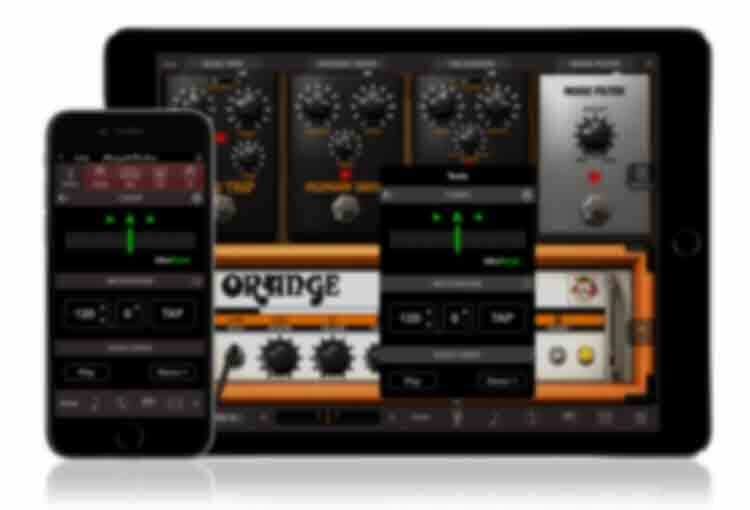 This means that AmpliTube Orange's realistic amplifiers, stompbox effects and other cool pieces of gear can be used with things like Apple GarageBand. 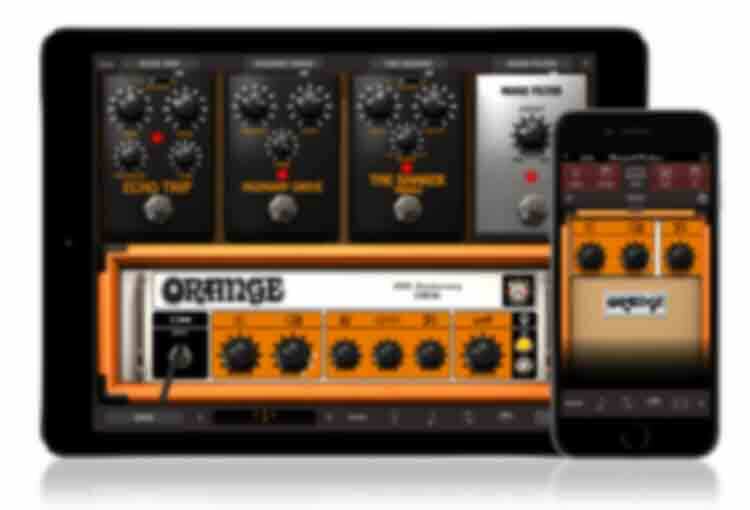 AmpliTube Orange is also fully compatible with Audiobus (a third party app, sold separately). This lets you route audio through up to three apps. 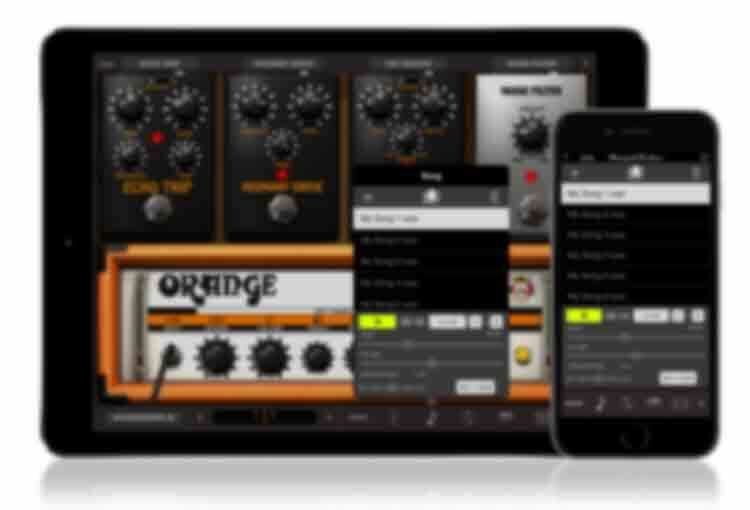 With it, you can use AmpliTube Orange as an effects processor for an instrument or for audio coming from another app. You can also use AmpliTube Orange to process and/or record the audio coming from other apps in the chain. 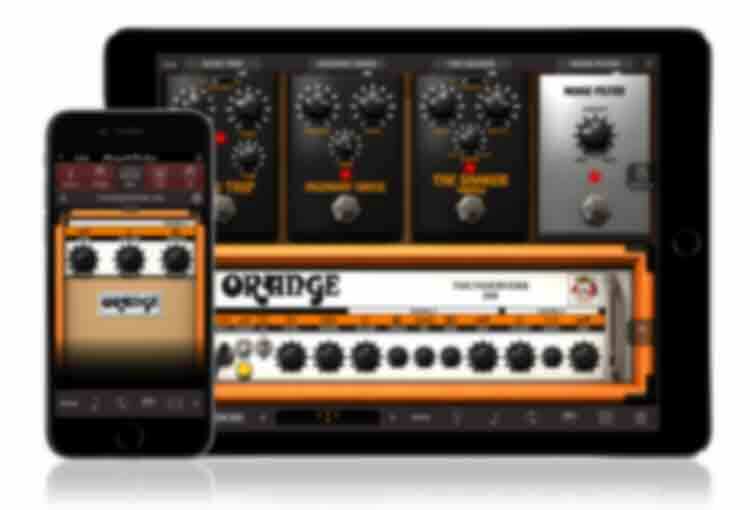 IMPORTANT: if you own AmpliTube for iPhone or iPad and you want to add all of the components of AmpliTube Orange® into it, we advise you NOT to purchase the AmpliTube Orange® app but instead add the AmpliTube Orange® amps and effects all together or single a-la-carte gear directly in AmpliTube through in-app purchase. You can also use iCloud to transfer your in-app gear purchases between the main versions of AmpliTube. AmpliTube® is a registered trademark property of IK Multimedia Production. All other product names and images, trademarks and artists names are the property of their respective owners, which are in no way associated or affiliated with IK Multimedia. Product names are used solely for the purpose of identifying the specific products that were studied during IK Multimedia’s sound model development and for describing certain types of tones produced with IK Multimedia’s digital modeling technology. Use of these names does not imply any cooperation or endorsement. ORANGE® is a registered trademark property of Orange Music Electronic Company Ltd. iPhone®, iPod touch®, iPad® are trademarks of Apple Computer, Inc., registered in the U.S. and other countries. App Store is a service mark of Apple Inc.